Skin rashes are common, but if you have a rash on your skin that doesn’t look like anything you’ve had before or it won’t go away, you may have a more chronic skin condition such as psoriasis or eczema. 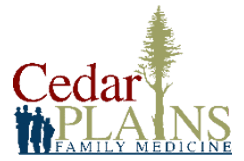 Dr. Spohn at Cedar Plains Family Medicine in Hickman, Nebraska can identify your skin rash and provide treatment to relieve your symptoms. Call today, or schedule an appointment online. Do I just have a rash? Rashes, also referred to as hives, are usually because of an allergic reaction that causes your skin to turn red and become itchy. However, stress and infection can also cause a rash. If you have a rash or a skin condition that concerns you, Dr. Spohn at Cedar Plains Family Medicine can take a look and provide treatment. Psoriasis is a common skin condition that causes red scaly patches on various parts of your body and is caused by an excess production of skin cells. Psoriasis occurs in both children and adults, and it can cause small spots of patchy skin to several large spots all over your body. You may also go months without a flare-up. Dr. Spohn can diagnose psoriasis after obtaining your medical history and examining your skin. Exposure to ultraviolet (UV) A or B light may also be recommended to help clear up your psoriasis, which you can get from the sun or a special therapeutic light. Eczema, also referred to as atopic dermatitis, is a common skin condition that causes red, itchy skin. It commonly begins in childhood, but can occur at any age. Eczema is a chronic condition, but it can be managed with the right care. Dr. Spohn can diagnose eczema after an examination of your skin. Finding the right treatment to manage your eczema may take some time. But Dr. Spohn partner with you to try to find the best solution to reduce your symptoms. Light therapy may also be helpful in reducing your eczema outbreaks. Keeping your skin moisturized with skin-sensitive lotion may also be helpful. For management of skin rashes, psoriasis, or eczema call Cedar Plains Family Medicine, or schedule an appointment online.